the treatland super computer found 83 results matching your criteria. a stock piston for puch. there are a few different kinds of stock piston for puch engines so make sure you're getting the right thing. this also fits derbi piston port and pyramid reed!! not flatreed cuz that's a different size!! 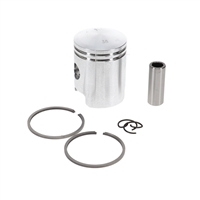 this piston works in many kits, puch gilardoni, puch metra 80, derbi flatreed kit and possibly other 12m wrist pin 47mm cylinder kits....more info within, read up before you buy this, not for beginners ! super metal lined metrakit exhaust gasket for derbi mopeds and others of course! 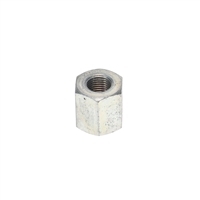 this is a very universal nut, it works with all puch motors, e50, za50... works with the derbi piston port and pyramid reed motors only and works with peugeot 103 mopeds, how sweet is that..
sides), yamaha chappy (both sides) and honda mb5 (right side) !! (some) and VIP, yamaha qt50, etc...im sure there are more. HERE NOW! MLM universal 6204 / 6303 bearing puller! for derbi, peugeot, yamaha chappy and honda mb5! cnc goodness for TJT variators! this is the bendy tab washer that goes under the variator nut! great for hobbit, derbi piston port and pyramid reed, minarelli v1, and many more! front 21 tooth sprocket for the derbi piston port + pyramid reed motor!! front 20 tooth sprocket for the derbi piston port + pyramid reed motor!! 6205 c3 CJB bearing for the tomos MC80! motion left mopeds derbi piston port 20mm intake for use with the mikuni vm20 carburetor and a puch gilardoni kit adapted to fit! motion left mopeds derbi piston port 24mm intake for any spigot style 24mm carburetor like mikuni/dellorto/etc and a puch gilardoni kit adapted to fit! woahhhh!! complete +++ completely full gasket set for the derbi piston port.. sweet!! clutch side crankshaft bearing for derbi piston port and pyramid reed! 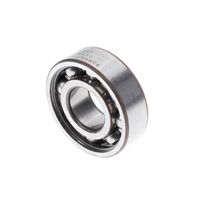 quality FAG or SKF C3 bearings only! brand new starter clutch pads for the derbi piston port + pyramid reed motor only!! derbi pyramid reed/piston port clutch side + minarelli AM3->6 engines, both sides. this is also for MB5 in the trans, you need 2 ! 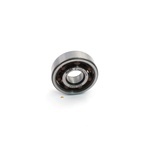 polini evolution SKF 6303 TN9 C4 crankshaft bearing.. better than anything else! for derbi pyramid reed/piston port clutch side + minarelli AM3->6 engines, both sides. dayco racing belt for derbi variant laguna C5 diablo RD50 mopeds! this is what you want for pyramid reed, flat reed and piston port! 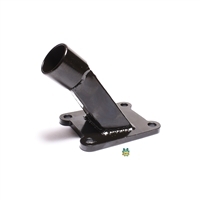 right side swing arm mount........ black side stand for derbi variant mopeds - piston port/pyramid reed yo! case gasket for the derbi piston port.. sweet!! switch over to allen bolts. they are one million times better that flat head screw driver, man. 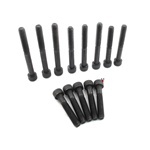 replace those stripped out bolts on your derbi moped! sold by one, usually you need 3 of these on a piston port / pyramid reed / flat reed ! brand spankin new right side cover for your derbi sport coppa or laguna! H95 side bleed pipe for derbi pyramid reed and piston port engines, without a doubt the most powerful pipe made for derbi in existence ... and its finally here! turbo kit performance exhaust pipe for piston port + pyramid reed derbi variants! super fun & exciting goody bag with a fresh new super stuffy crank and the 2 bearings and 2 seals that go on the crank!! H95 side bleed pipe for derbi variants with piston port engines running angled exhaust port puch kits like GILA, PARMAKIT, or METRA 80!!! this is a very specific pipe for a very rad setup! do yer research before buying! 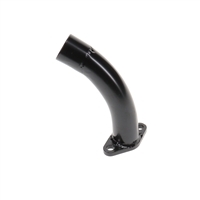 black plastic front rack for derbi variant piston port/pyramid reed mopeds! this is the special washer that goes on the derbi piston port / pyramid reed rear pulley shaft between the plastic guide and shaft! new old stock grey plastic original derbi piston port / pyramid reed oil fill plug!! axle adjuster for derbi's that have the piston port and pyramid reed motor, cause it uses a special swing arm! right!! super quality handmade people's pipe from motion left mopeds for derbi pyramid reed and piston port! USED round port 12mm SHA intake for derbi piston port motors!! stock flywheel and stator plate for you derbi piston port or pyramid reed motor!